Why use a personal trainer from Whole Health Club? 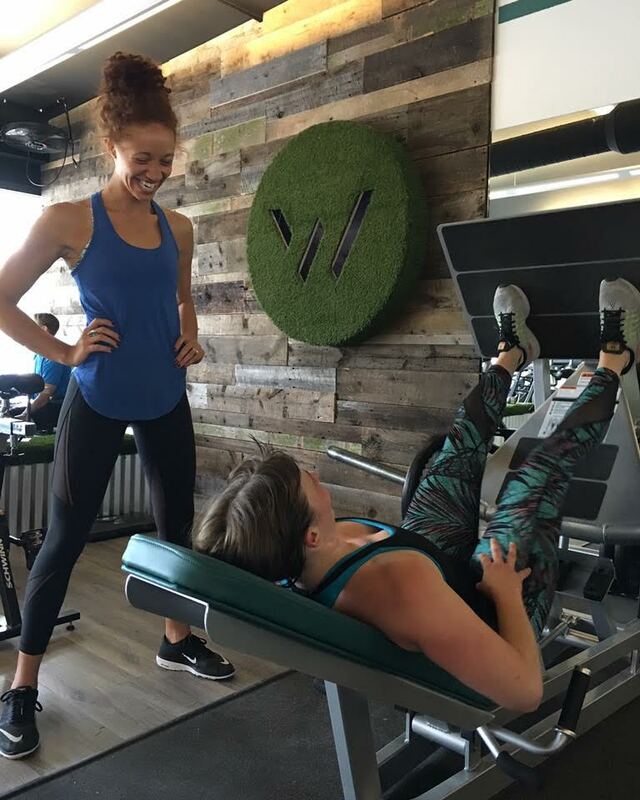 Whole Health Club is setting a new standard for how personal trainers work with their clients. Our brand new facility has about 2000 sq ft dedicated to personal training specifically. We have a classroom that allows us to have larger groups, but they are capped at 12 people so you won't feel cramped and you still get individualized attention. We also offer a teaching kitchen that has 4 moveable stations and plenty of space to have our personal trainers teaching people how to prepare healthy food. So, that's our building, but what separates our trainers outside of just the tools they can offer? Personal training in the gym. Our trainers not only carry, at a minimum, a NCCA accredited certification and also CPR Certification but they are also trained by Whole Health Club's owner, Chase Parker. Chase has trained in the industry for almost a decade, starting with division 1 athletes but then branching out to any type of client from there. The trainers at Whole Health Club have assisted in someone losing 200lbs in a year, we have helped many people drop 10-75lbs and find the confidence they deserve to have, we have rehabbed clients that were nearly wheelchair bound and now they can walk like they used to and of course we have trained athletes that are getting ready for everything from high school competitions to professional games. The key with our training is consistency across the board. Because everyone has gone through the same training program, all of our trainers can work with any client who walks through the door. Personal training in the kitchen. Just like training in the gym, our trainers must go through Whole Health Club's training in the kitchen. We focus on plant-based foods and how to prepare them. You do not have to eat exclusively whole food plant-based to workout with us but if learning how to prepare healthy great tasting intrigues you, we have the ability to teach you on-site. You can learn how to make macaroni and cheese without using dairy or many other healthy options that even kids can eat and not tell the difference. Our trainers are taught by a classically trained chef, that graduated from Johnson & Wales Culinary School, who is now a completely plant-based chef. With her training, our personal trainers are able to confidently teach you not only how to prepare the food but also teach you what the benefits of eating those meals as opposed to the alternative that may include meat or dairy.Training in our classroom. Our classroom is designed to create an invigorating and motivating workout. It is small groups so the personal attention is there, but you still have a good mix of new people. Classes range from yoga, to HIIT classes, to hybrids that combine the two. Our trainers come up with classes that will inspire you to keep coming back.